You can start on a journey that will have great importance to you and your loved ones. Throughout the estate planning process, you will learn how to pass assets to family members in ways that are truly helpful. You will also find out how you can share essential information with your loved ones and those close to your family. You also may be interested in a plan to help benefit one or more charities. 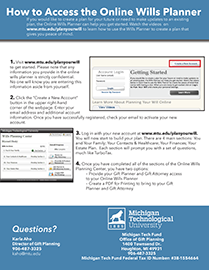 Whatever decisions you may choose, Michigan Tech is here to help you with free tools. 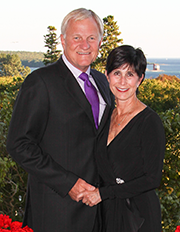 Ron 78 and Robyn Vriesman want to help Michigan Tech continue to create value for students and ensure the University remains competitive and affordable. "We feel obligated, and take pleasure in, being able to help support future students access to the unique opportunities and experiences available through Michigan Tech." Ron says he couldn't have attended Michigan Tech were it not for the support of many individuals, including the sacrifices made by his parents. "The technical, social, and cultural education I received from Michigan Tech is hard to duplicate and it prepared me well for a variety of career experiences. Tech offers a unique educational experience which is made up of knowledgeable, personable, and caring faculty; the University's geographic setting; and the community's culturally rich copper history." 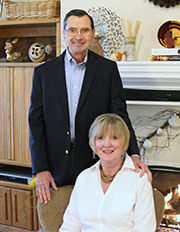 The Vriesmans said they are pleased to be able to give back to Tech. "A sense of fulfillment is achieved when making a personal commitment to help sustain this educational environment for future generations." 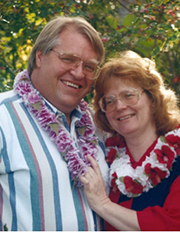 Alan '71 and Barbara Batog said the decision to leave Michigan Tech in their estate plans was simple: "empowerment by education." "Michigan Tech played an important role in giving me the education I needed. 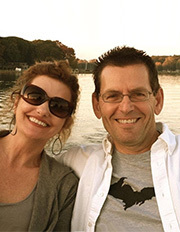 It set a path toward a career that has brought Barb and I to where we are today. Our decision to gift Michigan Tech truly is a 'full circle' moment from what they gave to me to what we can give back to them." The couple says they believe it is always important to give back in whatever way you can. "Being able to give through our estate provides us the opportunity to make a difference for so many in various aspects of what Michigan Tech has to offer. To know you are empowering young adults with education to make a difference in the world for you, your family, and generations to come will be a lasting legacy!" 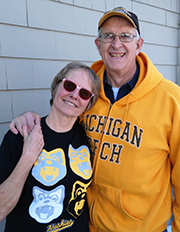 Dave '74 and Marilyn Bernard grew up in the Houghton area and say they were fortunate to have Michigan Tech, a first-class university in their backyard. "I doubt we could have attended college without it being in our hometown. Our focused giving is scholarship money because we both had some degree of scholarship assistance, which was very helpful. We also focus on the School of Business students because their tuition is so high relative to peer institutions. Tech is a great university in a beautiful, safe environment. We also feel a sense of fulfillment by giving back to an institution that gave us so much." 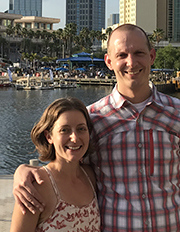 Adam 03 17 and Elizabeth 04 (Hempel) Mitteer have ties to Michigan Tech through long-lasting friendships, organizational involvement and a professional network that was built through involvement with Tech. 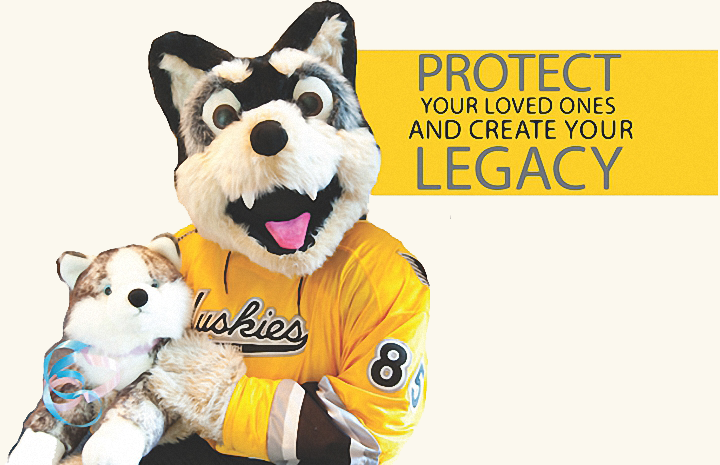 They decided to add Michigan Tech as a beneficiary through a bequest. "It was only appropriate that we give back to the place that continues to change our lives in so many ways. 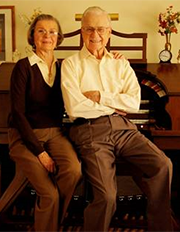 Our bequest to Michigan Tech was very easy to designate and will ensure future generations the same opportunities that we both enjoyed as students and now as alumni." The Mitteers both held jobs while attending school and understand the added stress this presents to students. "We developed scholarship criteria designating our gift for students holding jobs during the school year. Our hope is that it will help alleviate some of their stress so they can enjoy their time at Tech as much as we did." 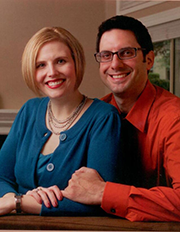 The couple says they give back to Michigan Tech to ensure students can have the opportunity to focus on school and prepare for their careers ahead. "Making scholarships and funding available for students affords them the ability to experience all that Michigan Tech has to offer in the classroom and around the Keweenaw." We have the daily opportunity to see what our students, faculty, staff, and alumni do and are amazed at their capabilities. As alumni, it's an honor for us to be part of Michigan Tech and be able to pay back for what the people of Michigan Tech have done. As members of the team who are the current stewards of Michigan Tech, our job is to pay forward for what future generations will do through our annual and planned giving. The education I received at Michigan Tech along with the long lasting friendships that I developed have been the foundation of my success in so many areas of my life. There has never been any doubt that I would support Michigan Tech to help provide future students with a quality educational experience that will benefit them as it has for me. Investing in an education at Michigan Tech is the best investment Joy and I could ever hope to make for future generations. I had a wonderful career as a writer at Michigan Tech, including five years as the magazine editor. What made it wonderful were the Michigan Tech people. I was dazzled daily by their intelligence, enthusiasm, and drive to make a difference. As I developed my estate plan, I wanted to make a difference too, and what better way than to support those who are going to change the world: the people of Michigan Tech. 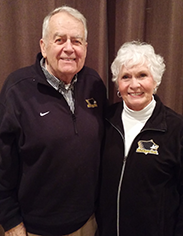 Lou and I are Michigan Tech planned gift partners because future students will need and deserve financial assistance as they move ahead Creating the Future. We believe in Tech! We believe in its future! And we believe in its faculty, its dedication to excellence, and its ability to provide jobs for its graduates. We also believe that the natural environment, which provides hiking, biking, skiing, boating, boarding, golfing, and camping are beyond comparison and are an outstanding attraction for its students and faculty. We are very proud Michigan Tech Honorary Alumni. Michigan Tech is an amazing institution; it has not only become our home but the campus community is our family. 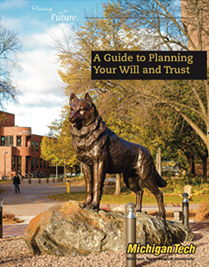 We all know that most estate plans are largely comprised of family, and this is why Michigan Tech is in ours. Who wouldn't want to share the wealth we've been so fortunate to receive with an institution that has made it easy for us and others to prosper in many ways. Tech has always made a difference in the lives of others; our estate gift is one small way to insure this difference is sustainable into the future. Both my grandfather, A.E. Seaman, and father, Wyllys, were Michigan Tech alumni and faculty. My father was a student of my grandfather's and actually got his master's degree before my grandfather. Grandpa chaired the Department of Geology and Mineralogy and founded the A. E. Seaman Mineral museum in 1902. He served as museum curator until his death in 1937. Dad served as curator from 1943-1948 and many other Seaman family members went on to graduate from Michigan Tech. For Phyllis and me, it's important to foster this family legacy, furthering the work and legacy of A.E. Seaman and enhancing the experience of Museum visitors far into the future. Being a Yooper, born in Ontonagon, my connection to Tech has been lifelong, with some of my fondest memories growing up being the drive to Houghton for Huskies hockey games. Not having children, we want our estate to be dispersed among the non-profit institutions we feel make the most significant impact, with Michigan Tech at the top of our list. We've always been passionate about higher education and feel that alumni and friends play a critical role in this time of decreased state funding. 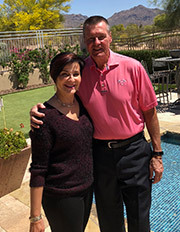 Having served on the Alumni Association Board of Directors during a time of University growth, I was privileged to see the impact that donors' gifts could make and we are happy to be part of that mission. Joyce and I realized the value and importance of an education at Michigan Tech and we wanted to give other young women the same opportunities Joyce had. 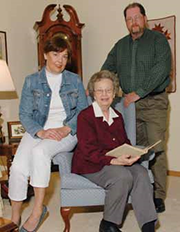 We set up the framework for the Joyce Caylor Lyth Memorial Endowed Scholarship before she passed away in 2014. Our aim is to support young women in the School of Business who need financial assistance. Her scholarship benefits four young women annually and has spurred the creation of a new scholarship program - Pioneering Women in Business, which currently allows for two additional awards - and more as donations increase. Joyce wasn't able to see the impact of her scholarship, but by making gifts now and through our estate, I've been able to meet these smart and talented young women to share Joyce's story, Joyce is an excellent role model. In 2016, there were six students receiving scholarship funds. My passion has switched from taking care of Joyce to growing her legacy and supporting pioneering women like her at Michigan Tech. My dad, also a Michigan Tech alum, taught us to always support and give back to your family, your community, and your profession. 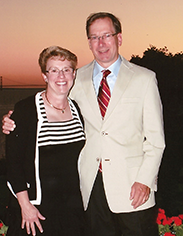 After my dad passed away, my mother continued his tradition of giving back to Michigan Tech. With a bequest, Connie and I also have followed in his footsteps. 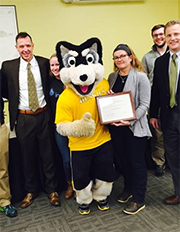 We want to make a difference in the lives of students at Michigan Tech.